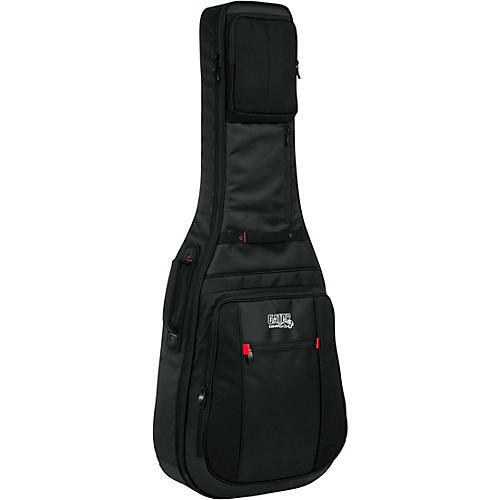 The G-PG ACOUSTIC ProGo Series acoustic guitar bag comes with ultra-thick sidewalls, a micro-fleece interior with body block internal shock absorber, and protective rain cover to keep your guitar safe while you travel rain or shine. It also provides you with a tablet pocket, internal cable management, and an ample sheet music pocket. When you are on the move it has a comfortable padded nylon handle as well as removable backpacks straps.